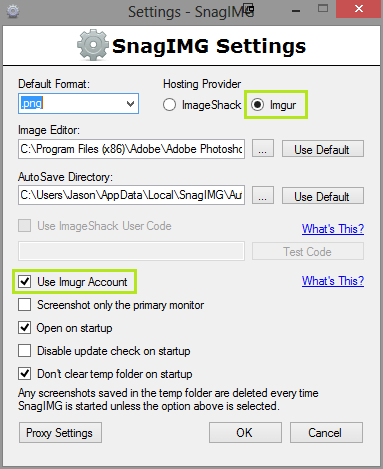 In the latest update to SnagIMG we’ve added the ability to upload to your Imgur account! 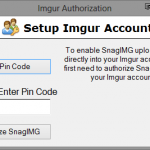 To enable this you will need right click the SnagIMG icon in the system tray and in settings enable the “Use Imgur Account” option. 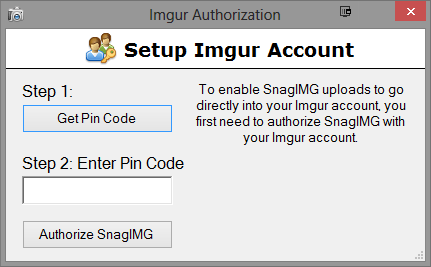 Once enabled the next time you upload a screenshot you will be prompted to authorize SnagIMG with your Imgur account. This is a straight forward process, simply follow the steps. If you don’t have an Imgur account you can register for one here. The next SnagIMG update will hopefully bring a major overhaul of the viewer. Both in functionality and also appearance.